Knowing three languages mean understanding three different worlds. Help, organize, manage and contribute the education project to reach its goals, in term of facilitating the process of activating education in camp and non-camps. As well as, establishing new community initiatives, recruiting, training and supervising the team, managing budgets, maintaining records, writing plans and reports and undertaking outreach work to encourage more people to participate. 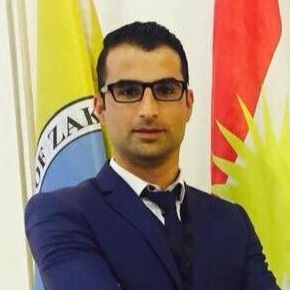 Having gained more than three years working experience as an Assistance Lecturer at the University of Zakho. As well as, one-year experience working voluntary with an American Organization called (IREX), the aim of this organization is developing student's skills at university. More than 8 months working experience as an Education Assistant with the Norwegian Refugee Council (NRC) in Duhok Office. In addition to this, I have two years of experience working with a Translation Company called Shafaq. · Master of Arts in History/ October 2013/ University of Huddersfield/ https://www.hud.ac.uk/. · Bachelor in History / July 2010 BA in History / University of Zakho/ http://uoz.edu.krd/. Keywords: Kurdish, English, Arabic, Computer, Art, Technology, Social science.